Of the 100+ varieties we carry at Brightside Bamboo Nursery, these are the most cold-sensitive, listed in order. 1. Any of the Bambusas, such as Bambusa mutiplex and subspecies, Bambusa textilis 'RG Dwarf', etc). These are really zone 8 plants that we keep for our customers in places in North Carolina such as Wilmington, Fayetteville, Greenville, etc. They are rated to 12°F. However, they can be grown in Zone 7b if you give them extra TLC such as thick mulch and frost blankets if the temperature dips close to 12°F. Also, if you have a warm and sheltered micro-climate they can be OK in 7b. 3. 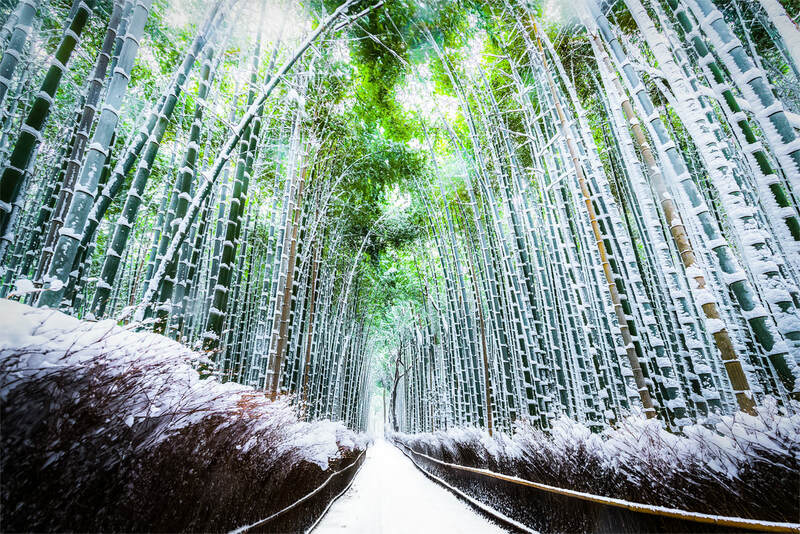 Sasa palmata and other broad-leafed bamboos tend to be more sensitive to conditions when the frost line goes deeper than normal and they have frozen roots but the sun in shining. They dry out. Rated to 5°F. ​4. Japanese timber bamboo (Phyllostachys bambusoides) and subspecies such as Allgold and Castillon. Leaf damage in single digits combined with wind. Rated to 5°F. 5. Phyllostachys viridis and subspecies, including Houzeau and Robert Young. Leaf damage in single digits combined with wind. Rated to 5°F. 6. Pseudosasa japonica (arrow bamboo) and subspecies are vulnerable in the same conditions as Sasa palmata above. Rated to 5°F. For central North Carolina, it is unusual to have these conditions, but they did happen during the 2017/2018 winter. 7. Phyllostachys aurea (golden bamboo) and subspecies such as Koi. Leaf damage in single digits combined with wind. Rated to 5°F. Many times containment is a second thought for people who have bamboo planted. Sometimes that’s OK since a pruning trench or rhizome barrier can be installed a year or two after the bamboo planting with good results and minimal, if any, rhizomes escaping to unwanted areas. However, I recommend that anytime you’re installing a running bamboo, you should either install containment at the same time or have a plan in place. One containment technique that can only be installed at the time of planting (or before) is the raised bed. This works on the same principle as the pruning trench: rhizomes are naturally shallow and grow horizontally. If they reach a vertical drop, either straight down or very steep, they’ll come out of the side the soil, thus exposing themselves, before they dive back in. With a pruning trench, which is a 12” deep, ~5” wide trench around the bamboo, the vertical drop is achieved below ground level. But you can also get this same result by created a raised mounded bed above the soil line. There are two important factors when using a rhizome-pruning method of controlling bamboo: proper installation, and proper maintenance. For a proper installation, we’re looking for at least 12” of vertical drop within 12” or less of horizontal span. IE, a 45-degree angle or steeper. You can get this by simply mounding up soil and packing it down on the side to achieve the angle. I recommend using at least a 2” shallow trench as an extension of the sloping soil to mitigate any wash out the new soil may have during the first years of rains. You can also use a deeper trench and shorter bed, as long as you have at least 12” of combined drop. The raised bed technique is useful in areas with a lot of existing roots, utility lines, or other obstacles to trenching. It also can give your initial bamboo planting some added height, effectively speeding up the fill-in time for something like a privacy screen. During installation, the first (lowest) layers of soil to be brought in should be heavier with more clay in them. As you build the bed up, use lighter and richer soil, topping it with pure compost and then hardwood mulch. What you’re trying to do is make the conditions favorable to the rhizomes at the top, and not favorable on the bottom. I usually recommend a single- or double-shredded mulch on raised beds since they will control erosion better and last longer than a triple-shredded mulch. Maintenance for a raised bed is the same as it is for a pruning trench: walk around the edge 2-3 times per summer, and 1-2 times per fall, and once in the winter and spring depending on the weather. If any rhizomes have shown themselves, simply clip them with a pair of hand pruners. If you wish you can then pull the rhizome out on the outside of the bed, but this is usually unnecessary since it likely isn’t mature enough to survive on its own. During maintenance, you’ll likely need to rake out the shallow trench of any leaves or other debris that may have filled it. If you are noticing rhizomes near the bottom, you may want to deepen your trench by an inch or to be sure nothing tunnels below. Some rhizomes can go deeper than others, depending on the bamboo type, soil type, and how much water is available on the top. Speaking of watering, the best practice it to keep it moist on top, but not necessarily let the water soak deep. This is the opposite of conventional wisdom for most plants. Remember, rhizomes tend to follow the water, sun, and organic matter. A soaker hose set to a very short duration (try 5 minutes to start) every day or every other day is a good option, depending on the time of year and how much direct sun it gets. For small beds less than 12’ long, you may want to perform maintenance more often, at least at first, to make sure your bamboo is spreading into areas you want it. Most temperate bamboo won't do well indoors, but below is a list of species that can grow and thrive in the right conditions. Make sure you have enough light, water precisely, and use something like Bayer Advanced Tree & Shrub to get rid of bugs. This is the only time I recommend the use of the chemicals with bamboo. Overview: There are several types of bamboo that can be grown indoors, but none of them are among the easiest indoor plants to care for, as you might expect from some mainstays like rubber plants, corn plants, golden pothos, etc. 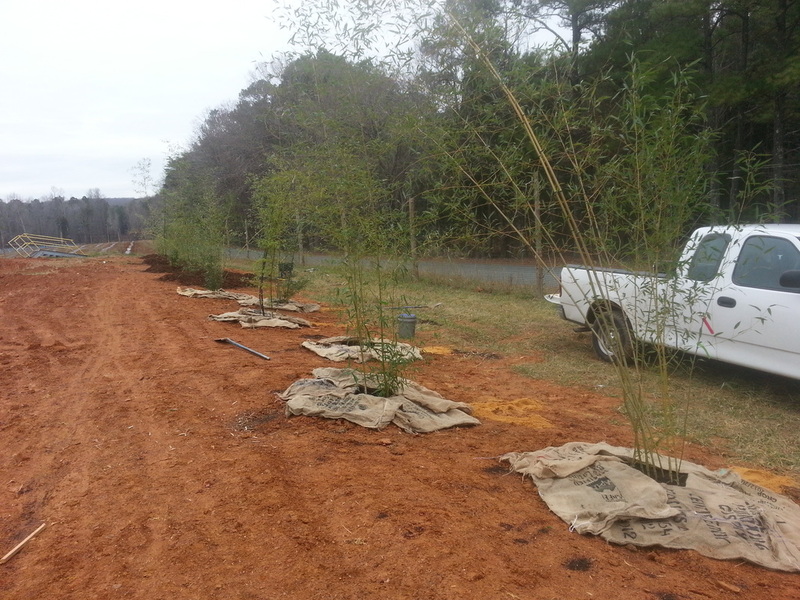 However, with some TLC, diligence, and knowledge you can grow bamboo inside very well. Humidity: Bamboo will prefer high humidity. The low humidity of most indoor environments greatly contributes to infestation of pests and/or disease. It is recommended to mist the plants daily and/or set up rock trays below the bamboo that will evaporate water. Watering: Watering can be a tricky thing and usually is required to be precise. Too much water can damage roots and invite pests. Too little can damage or kill the plant. Watering should be done regularly, whenever the top of the soil is dry and before the plant shows signs of drying out. Excess water should be collected in a tray and removed if excessive (not evaporating in 2-3 days). This will take some trial and error as each plant and container is unique and will require different amounts. Most plants will need to be watered 1-3 times per week. Pests/Disease: In an indoor environment it is likely that pests or disease may develop. Common pests such as aphids, fungus gnats, scale, mites, whitefly, etc. should be promptly identified and a suitable elimination strategy started. We've tried organic and natural methods but have found them ineffective. A product with imidacloprid such as Bayer Advanced Tree & Shrub is what we currently use. This is the only time I recommend using synthetic chemicals on bamboo.